George has a wide range of experience with commercial construction. 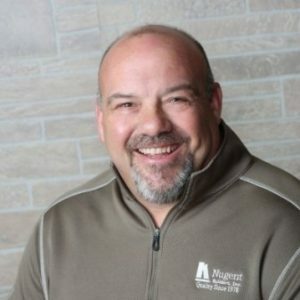 Serving for 18 years as an owner’s representative has given him a unique perspective on construction projects that will serve owners well. This past experience has developed an approach to projects that looks at Total Cost of Ownership to deliver projects that are on time, on budget, and efficient to operate and maintain over the life cycle of a building. “Building relationships is something that I really work hard at”. Striving for complete customer satisfaction is a top priority for me with every project and client. Bringing all parties together as a team is the surest way to deliver top quality projects that keep clients satisfied for years to come. “I am excited to develop new relationships as part of the team at Nugent Builders”. George lives near Stanton with his wife Annie. Outside of work he enjoys hunting, fishing and spending time with their children & grandchildren.